Want direct front line input into health planning? How about whistleblower protection? A few years ago we were in discussion with the Central East Local Health Integration Network about the idea of having a number of consultative committees made up of unionized health professionals in each of the sub-regions. 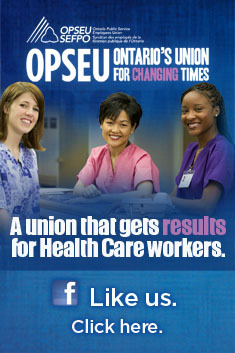 We sent out an invitation to our colleagues in the other unions to be part of this and got little response. Neither did our own members show much enthusiasm to get on board. Part of this is likely ambivalence towards the LHINs. Part of it is also concern that Ontario continues to have very weak whistleblower protection. Part of it is a concern by these front line workers that they would feel manipulated by the process. For most LHINs we remain strangers. Our employers get invited to present at the LHIN board meetings. We don’t. Our employers have ongoing working relationships with the LHINs. Ours is hit and miss, depending on the LHIN and how willing locals are to spend time at LHIN board meetings that can sometimes be opaque.